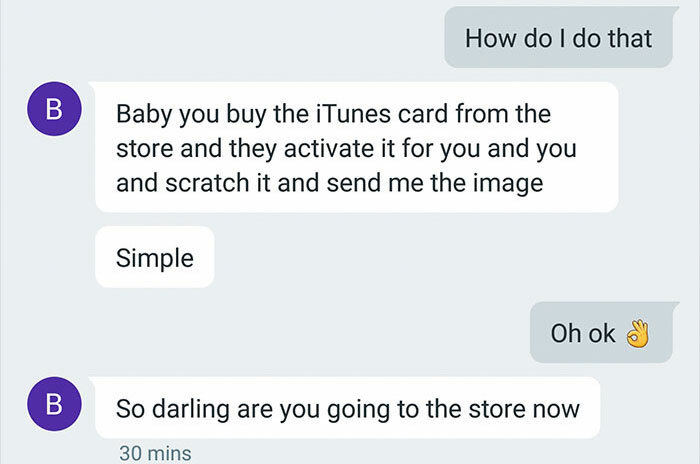 For the last year police have been warning people to be alert to scammers demanding payments in the form of iTunes vouchers, after an 80-year-old woman was tricked out of $4,000. 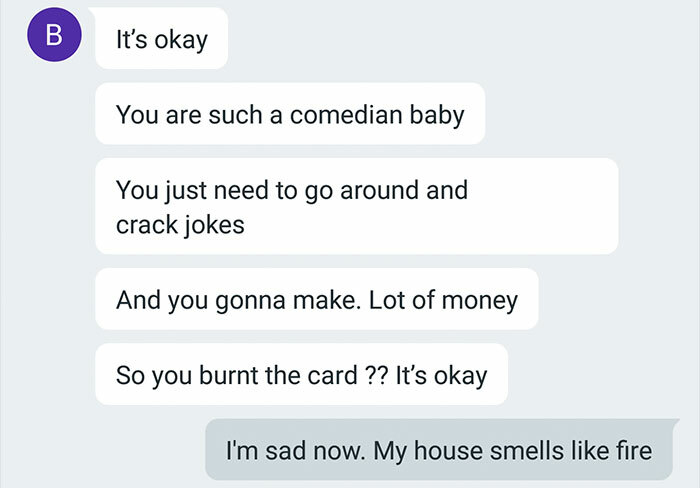 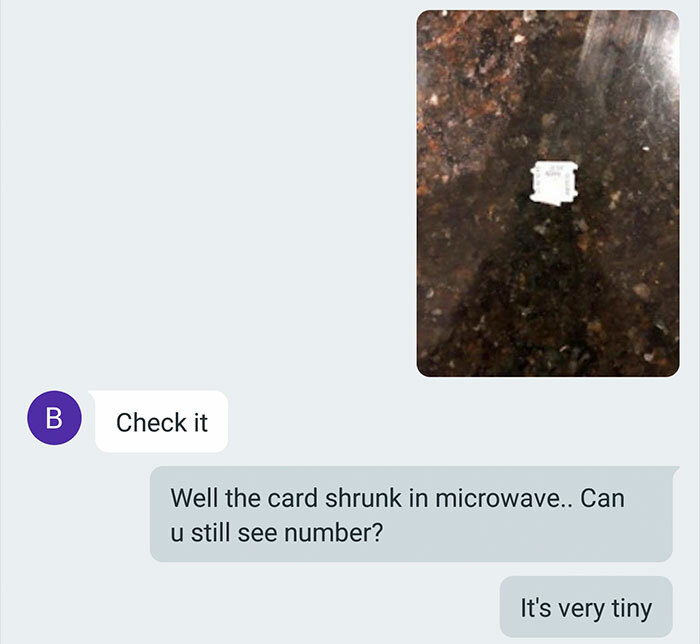 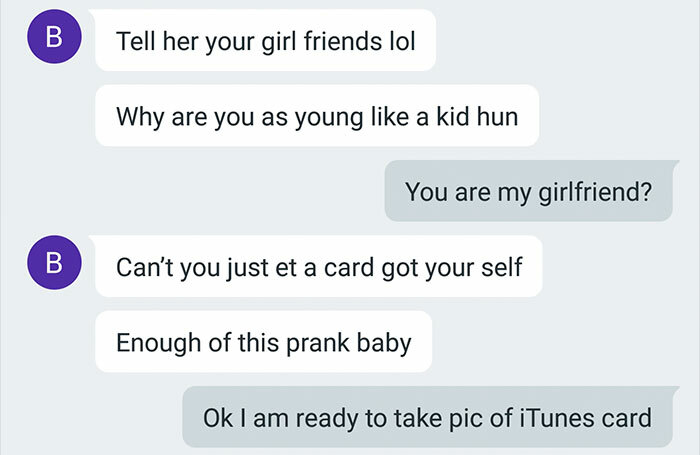 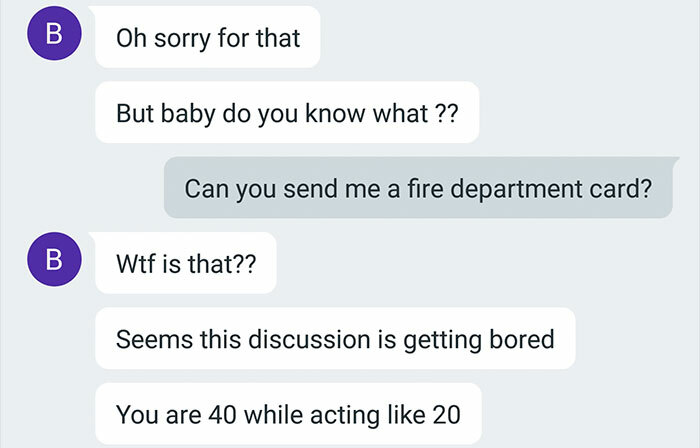 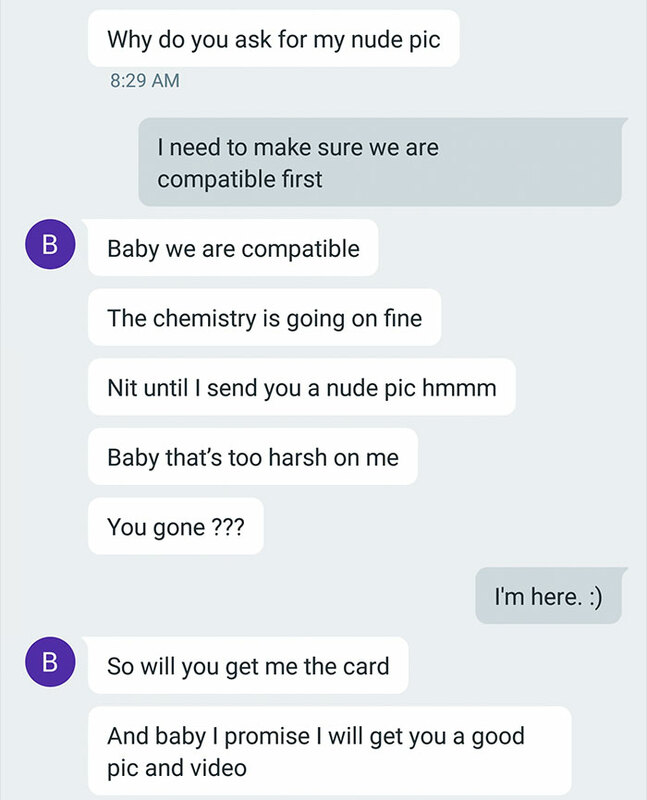 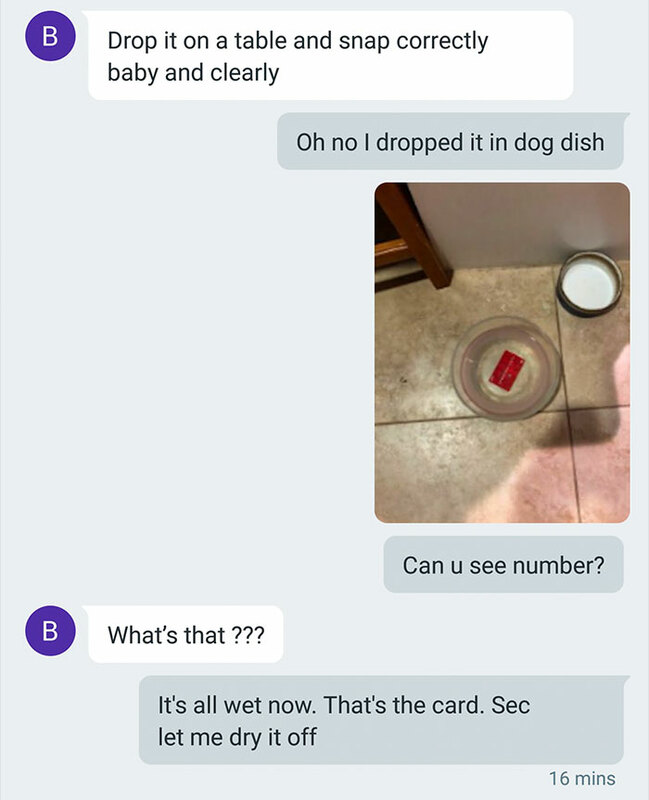 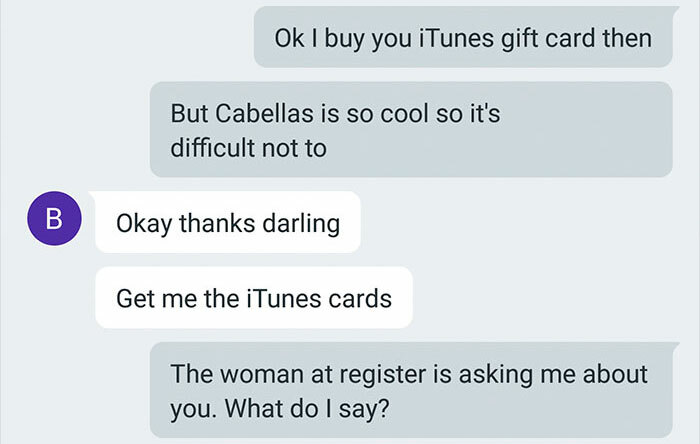 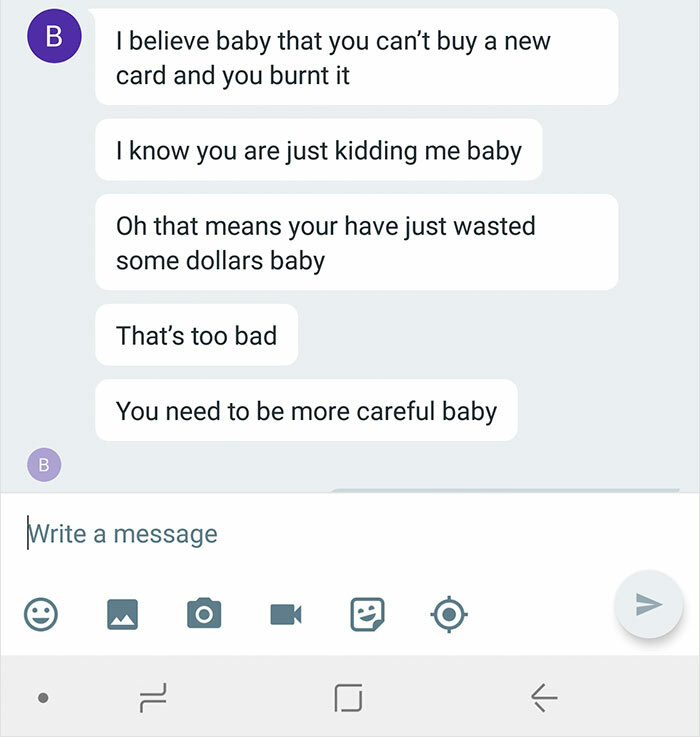 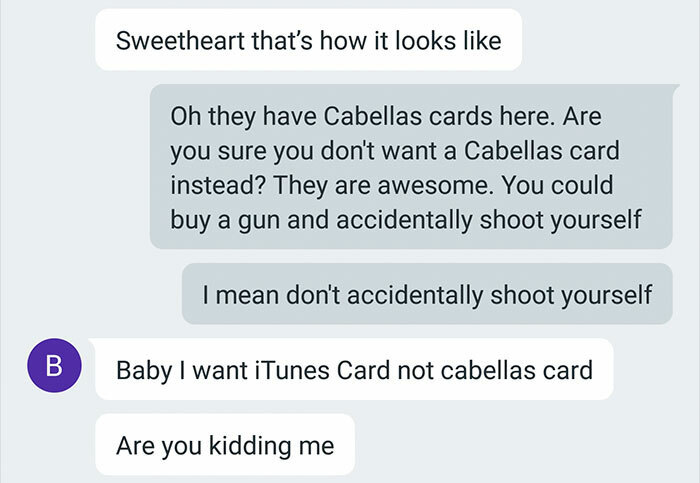 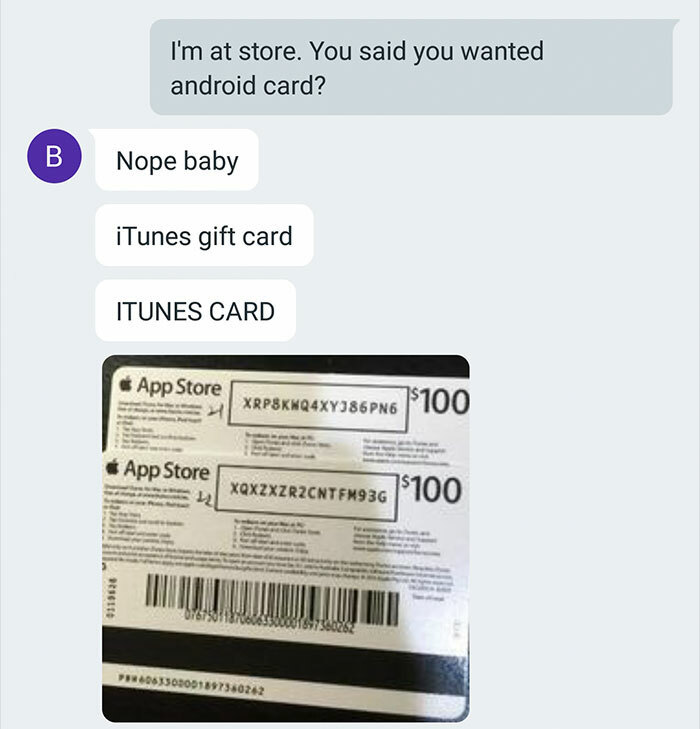 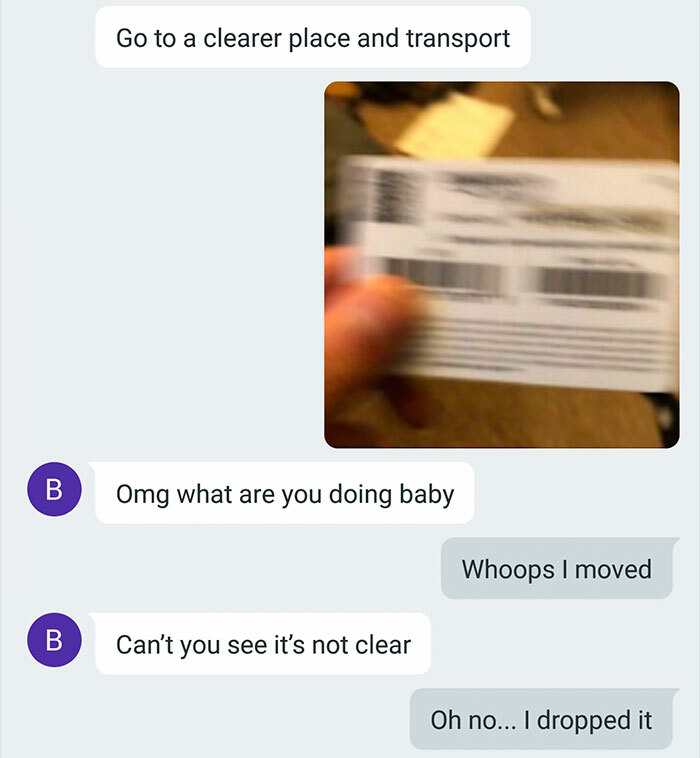 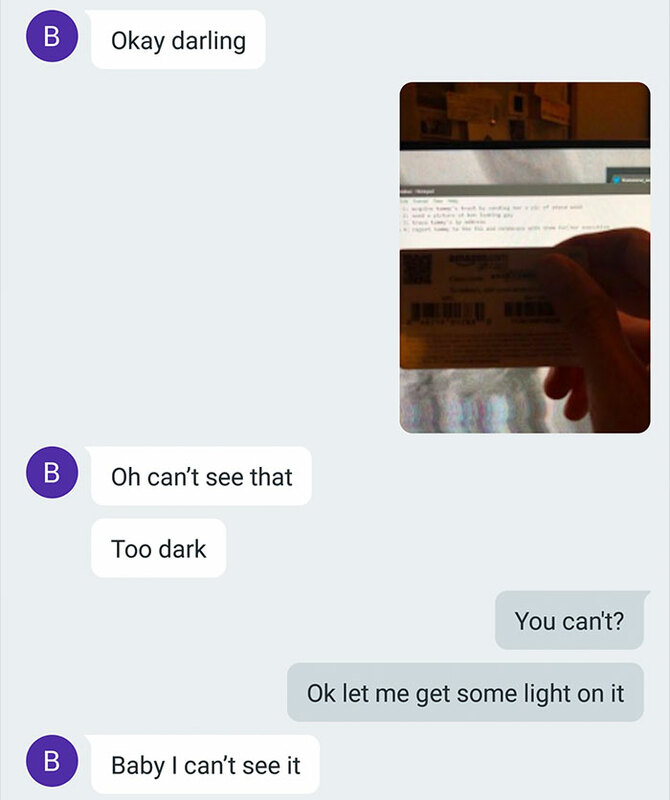 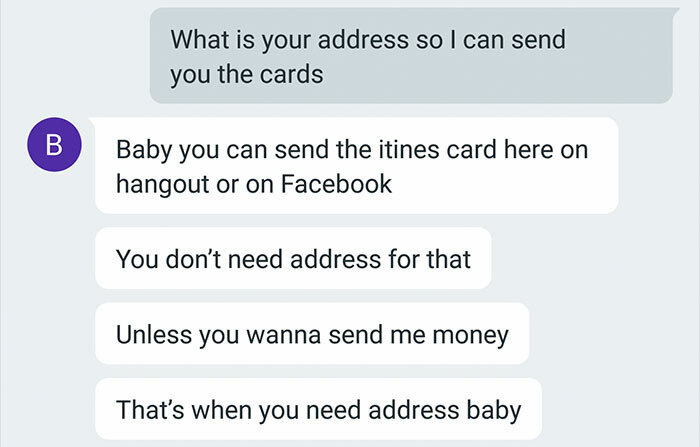 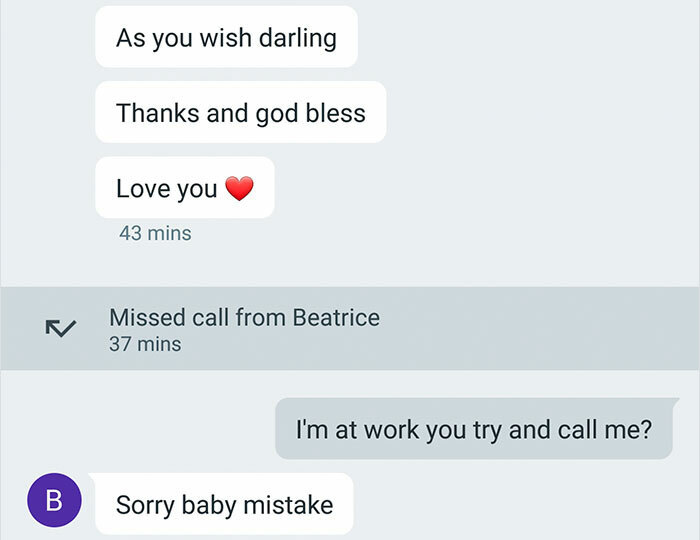 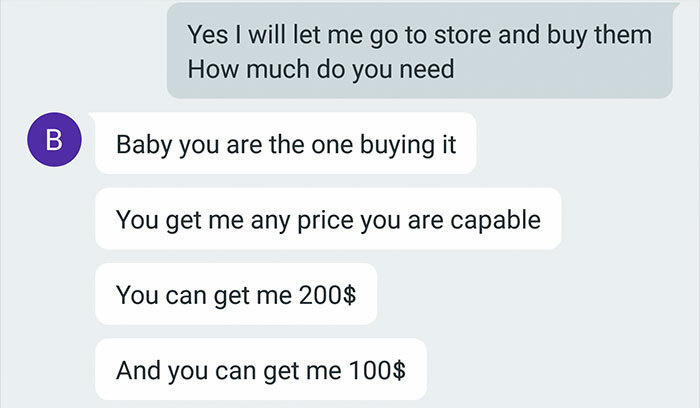 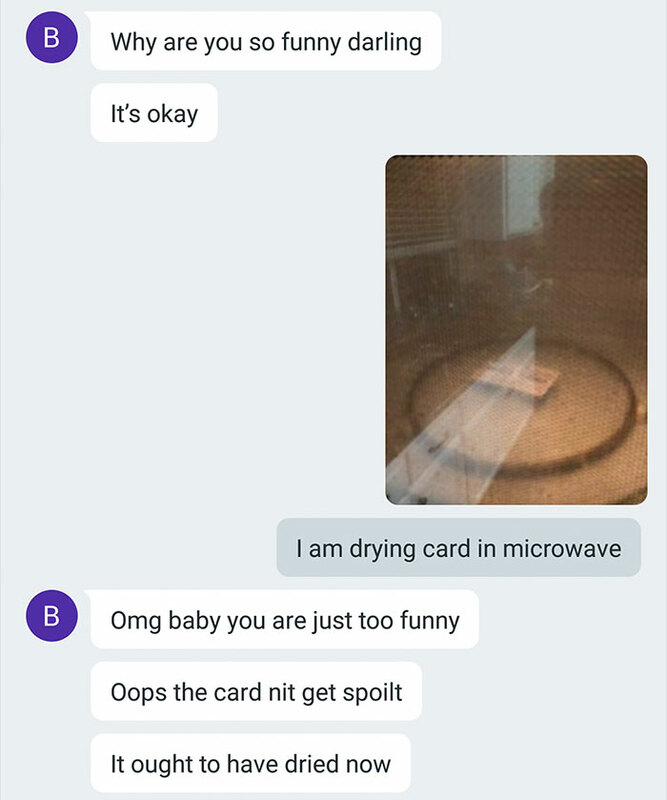 Either because he was aware of the scheme, or he was just suspicious of a stranger who kept calling him ‘baby’ in every other message, Imgur user doadea knew exactly what to do when he got demands for iTunes gift cards. 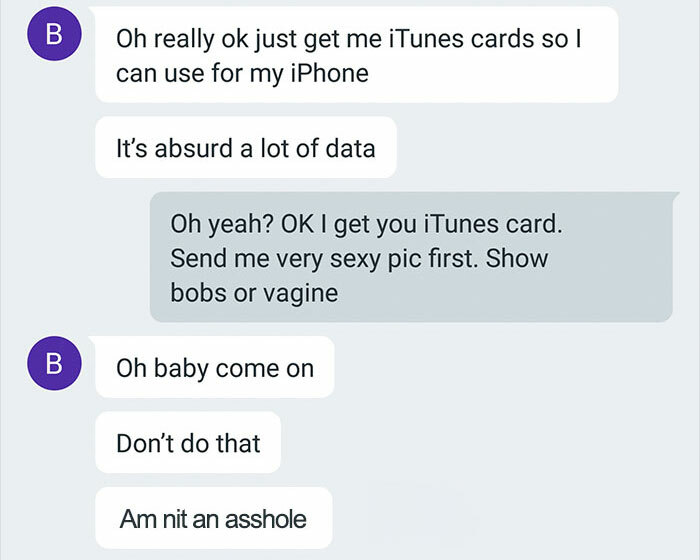 After making sure the scammer was hopelessly in his will, the guy took them on a savage journey they will never forget. 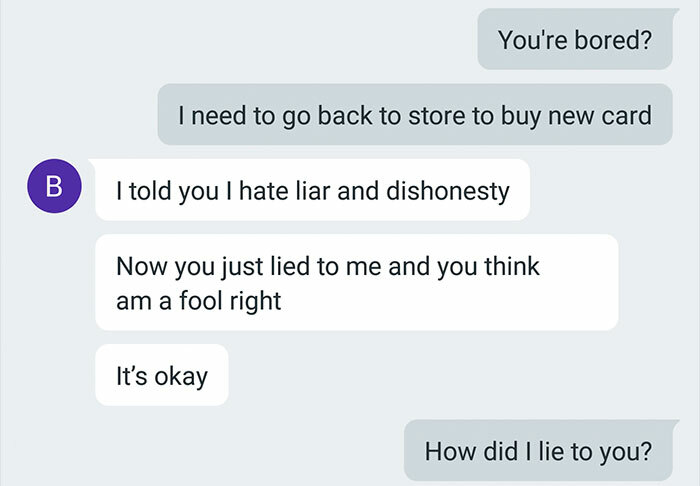 If you’d like to check out how other master trolls get back at people trying to con them, check out our older posts here and here, too.